Home Miss Earth Miss Earth 2017 Officially Begins: Contestants Arrive in Philippines! Previous articleMiss Earth 2017 First Hotpicks: An Inceptive Review! Next articleMiss Earth 2017: Meet The Contestants! 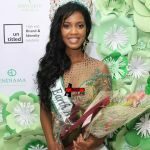 Miss Earth 2017: Meet The Contestants!